You can choose a Vacuum Generator to use with multiple Pad Attachments or Lifting Frames. 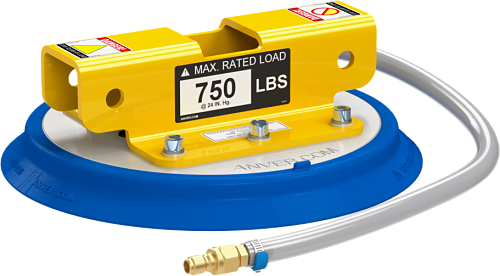 Anver’s new EZ-Tilt Vacuum Lifters are designed to tilt and hold a load in place manually either horizontally or vertically. 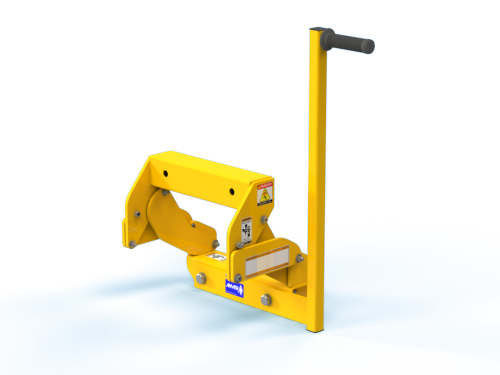 Designed for easy one person handling of small, thin loads quickly and efficiently. 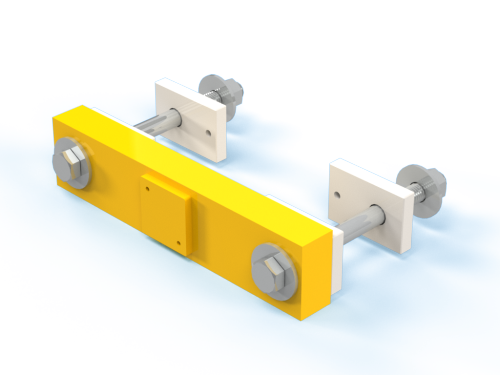 The unique quadro-link mechanism gives the operator a mechanical advantage so little effort is required to tilt in either direction. 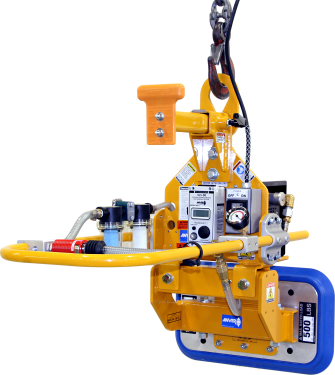 The lifter features a safety lock attach and release valve and long handles to keep the operator at a save distance. The lever handle can be bolted on the right or left side as desired. 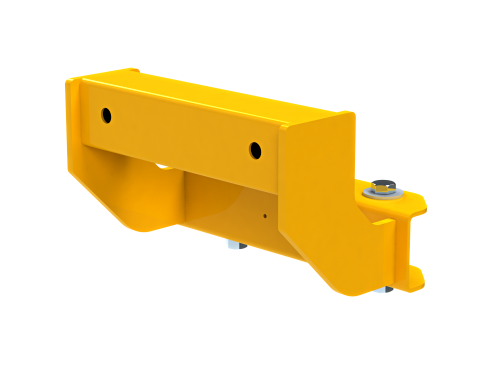 It is the perfect lifter for handling small, thin pieces of metal off the ground that have been cut off from larger sheets.This lifter helps to save labor and eliminates blocking or damage to loads. 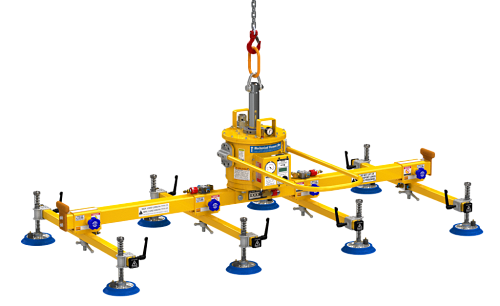 Pad attachment and lifter frames MUST be specifically designed for vertical lifting, consult factory. 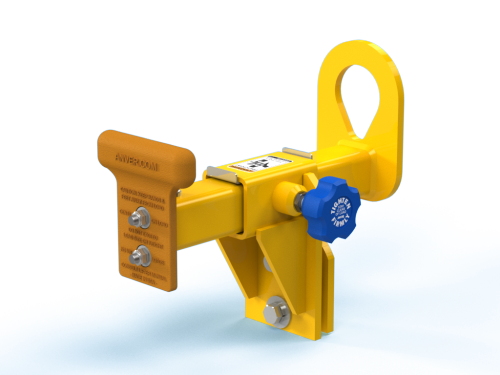 Pad attachment rated for horizontal lifting MUST be derated to 1/2 the capacity for vertical lifting.